Leisurely jogging around the neighborhood with your dog is a great way for you and your dog to stay in shape. This will also be the time for you to enjoy each others’ company. Dogs are naturally energetic animals and are in need of regular exercise. Jogging together with your dog will reap benefits for both you and your dog. Your dog will stay motivated, will push your limits, and will more likely remind you every day when it is time to sweat and exercise. If you plan to run with your dog, you have to make sure that your dog is safe and secure. This means you need a high-quality and comfortable harness that you can attach to the dog to keep him by your side. With that in mind, take a look at how you can select the best harness for your dog. 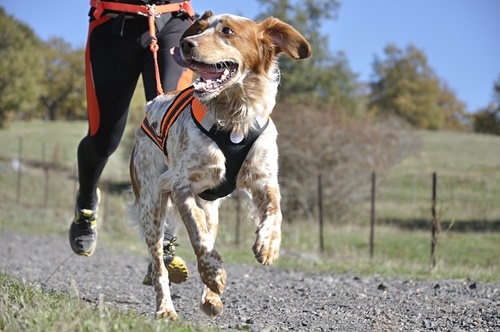 We have compiled the best dog harness for running that you could choose from. Take a look at it and see which ones will best suit your dogs needs. This harness is the one for you if you are the type who runs a few miles in the morning or goes into a marathon with your dog. Ruffwear Front Range Harness offers your dog greater comfort because of the pads that are placed in the chest area. You will have no worries about chafing if you choose this one for your pooch. This brand is also best for dog owners who own a large breed of a pup or a canine that have serious strength. This harness allows you to have full control against your dogs that are classified as pullers. This dog leash and harness by URPOWER is designed for those who love to go out and run even on cloudy and rainy days. 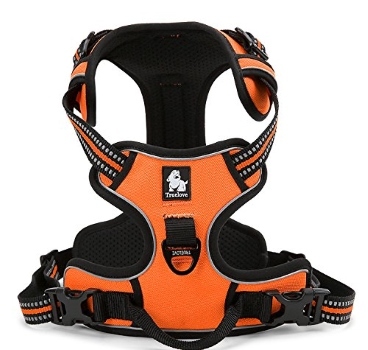 It has a built-in clip that is designed not to rust and buckles of the harness perfectly. 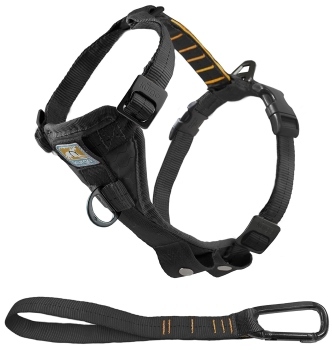 The harness itself is made out of high-quality material and is very durable. You will not be left without a harness after a few months. When it comes to sizing, URPOWER harness has an accurate sizing. It comes in Small, Medium and Large and has buckles that will allow you to custom fit it on your dog’s chest and the areas behind his shoulders. It is also not too tight to be uncomfortable or not too loose that you will lose control of your dog. This harness is made for those who like to run before the suns up or after it comes down. The EXPAWLORER Front Range dog harness is made out of webbing design that is reflective even on areas with low visibility. If you love to drive and go to a different place to run, this harness is equipped with a clip that you can attach to your car’s seat belt. The usual harnesses come in three sizes, but EXPAWLORER harness comes in five different sizes instead of just three. It has an extra small, small, medium, large and extra large. It was noted though by the creators of this harness that it was the most effective on canines that ranged from small to medium size. 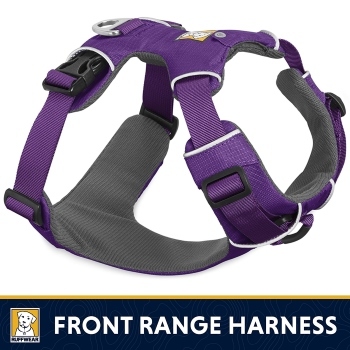 This dog harness comes with a handle on the back of the harness that makes it easier for you to handle and control it. It is made for those who go on different terrains and trails. The harness is also made to keep your dog cool, and therefore its mesh is made from a material that is specially designed for ventilation. Besides that, it also comes with a clip that you can loop on to the seat belt of your car to keep your dog in place while you’re driving. This dog harness by Kiomi gives you a good control over your dog while you run, therefore it comes with a collar mesh. 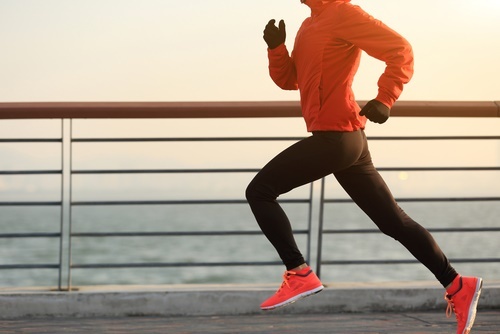 Also it has a length that is is designed to neither be too long nor too short, which is perfect for your running preferences. The harness can also be easily put on and take off. You will not have the trouble of having battle with your pup every time you would put on the harness when you two would go for a run. Aside from that, Kiomi Dog Harness connects to a clasp that spins in a full circle. This prevents entangling of the leash and avoids interruptions as you run. Small-sized dogs can easily wiggle out of it. 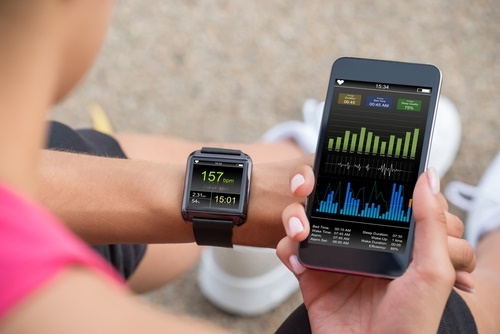 Although using just any harness while running may seem good enough, there are some brands that are undoubtedly better and more suitable than the rest. To ensure that the harness works well with your dog, make sure that the harness you choose has the following traits. 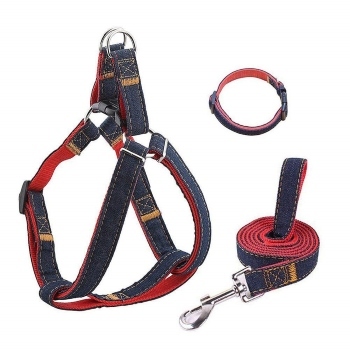 Adjustable – An ideal harness for your dog is one which will always provide room for you to lengthen or shorten the straps, depending on your needs. You also have to consider this to ensure that the harness serves its purpose. 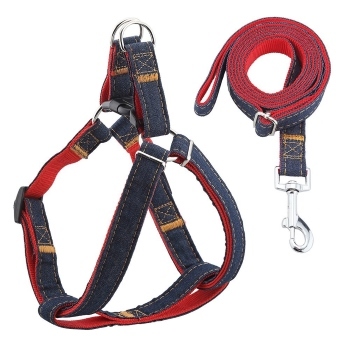 You also need to carefully select a harness that fits the build of your dog and its size. The best harness should allow your dog to move about freely and provide it with enough flexibility. Comfortable – One of the primary concerns of a harness should be comfort. Your dog will adapt to the harness faster if it fits them comfortably. Usually, a harness that has padding in high friction body parts, like the belly and the chest is the one that is most comfortable. Reflective or High-Visibility Finish – Some of the best dogs’ harnesses feature a reflective surface that helps you make your dog more visible in dim light. This is crucial especially for dog owners who go out on jogs at night. You can also improvise this feature by using reflective tape or reflectors. You can do this in case you found a harness that fits perfectly to your dog, yet lacks reflective surfaces. Secure – Even the best harness in the world becomes useless the second your dog slips out of it and darts off into the forest. To an extent, security depends upon properly adjusting and tightening the harness, but the dog harness’ design also factors into this equation as well. Always check and test the security of a harness before taking on the trail with your dog. Size And Age Of Your Dog – The size of your dog and their age are one of the factors that you should consider when buying a harness. For young puppies, it is advisable to use a harness that will help you control and prevent them from having injuries when they pull the harness. The size of the dog is also important. The bigger or the stronger he is, the more you should consider getting one that would give you more control. Waterproof Harness Or Not – Regular exercise and running outdoors with your dog means they will likely experience different types of weather. This will tell you whether or not your dog needs a waterproof harness. A waterproof harness will make it easier for you to dry. It is also less likely to build a smell compared to ones that are not. Leather or Nylon Dog Harness – The two types of materials that are commonly used for dog harnesses are leather or nylon. Both of which are considered as the better materials for certain reasons such as durability, comfort, and costs. When looking for which one you should get, consider that nylon is the material that is often found in dog harnesses that are lower priced than the others. This is because nylon is easier to find and make than leather. However, nylon wears off faster than leather harnesses. Both of these materials are found to fit comfortably for most dogs. However, if your dog has more sensitive skin, it is advisable to choose a soft leather harness. Running is an activity that your dog loves and enjoys. This is a constant source of enthusiasm and happiness for them. However, you have to keep in mind that running with your dog comes with responsibilities that you should provide. 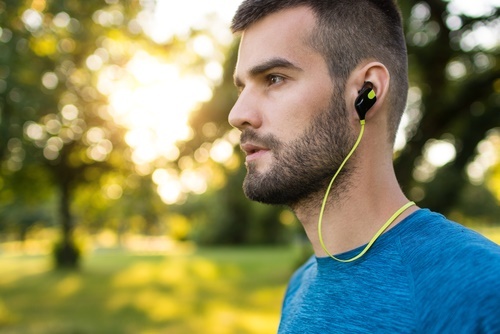 It is best to keep them comfortable and safe as they run and exercise with you.